Rhombus Pizza - Play Chef with this Affordable $15 Halal Pizza Buffet! 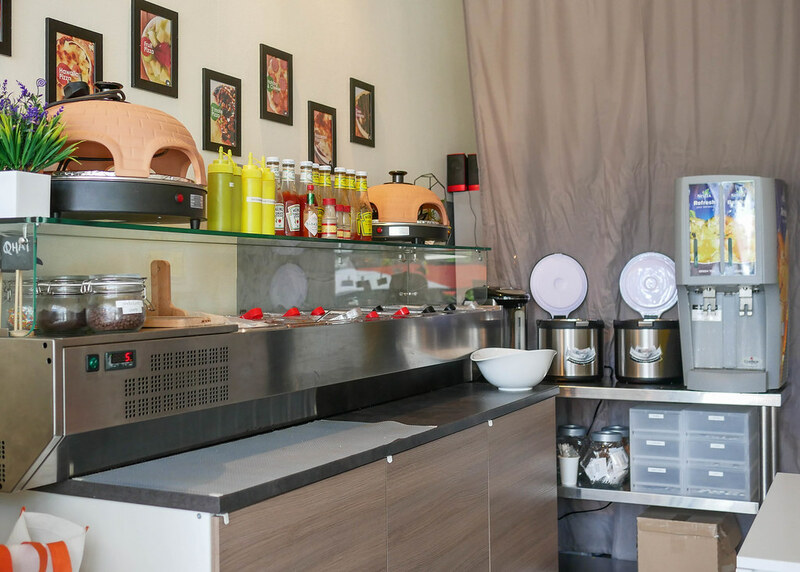 You are here: Home » Eat » Rhombus Pizza – Play Chef with this Affordable $15 Halal Pizza Buffet! 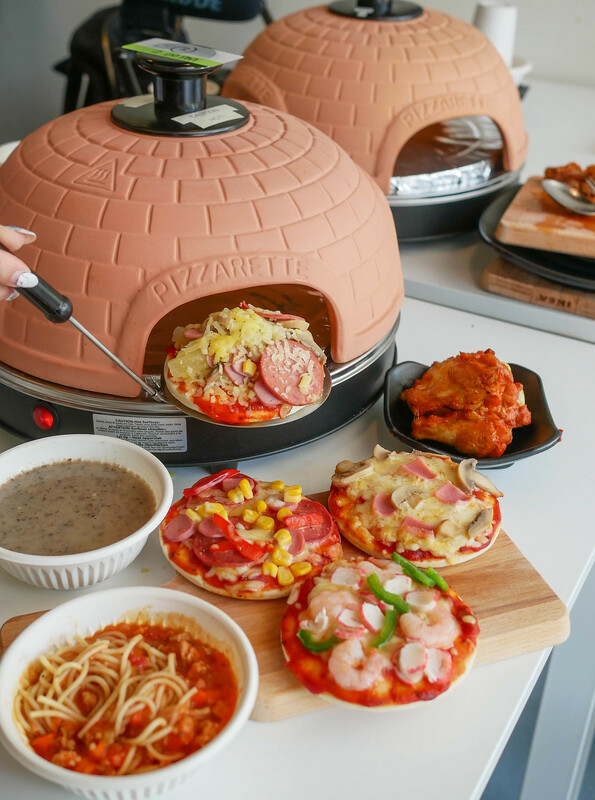 Rhombus Pizza – Play Chef with this Affordable $15 Halal Pizza Buffet! If you’ve ever dreamed of being a pizza chef when you were a kid, this is the place to indulge your inner child! 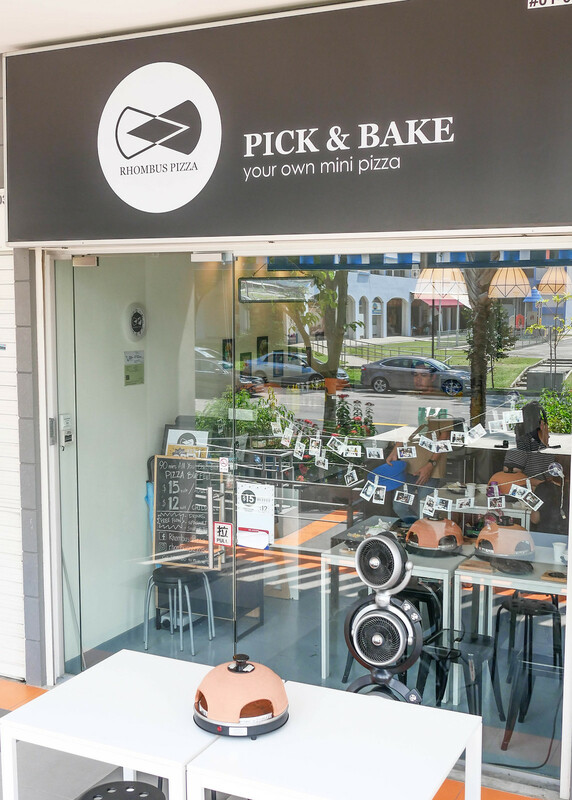 Rhombus Pizza is a small halal-certified eatery which is a mere 9-minute walk from Eunos MRT. 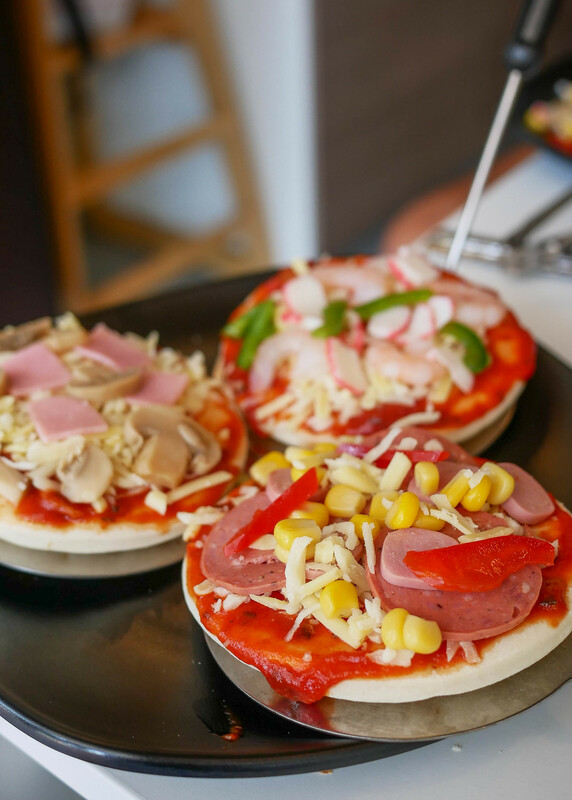 You can eat as many mini pizzas as you want within 90 minutes. You can pick all your favourite toppings – no more picking bell peppers off your pizza! As they only accept reservations, be sure to text or call 98440210 to reserve a spot. The small eatery only seats 10 indoors and 4 outdoors. 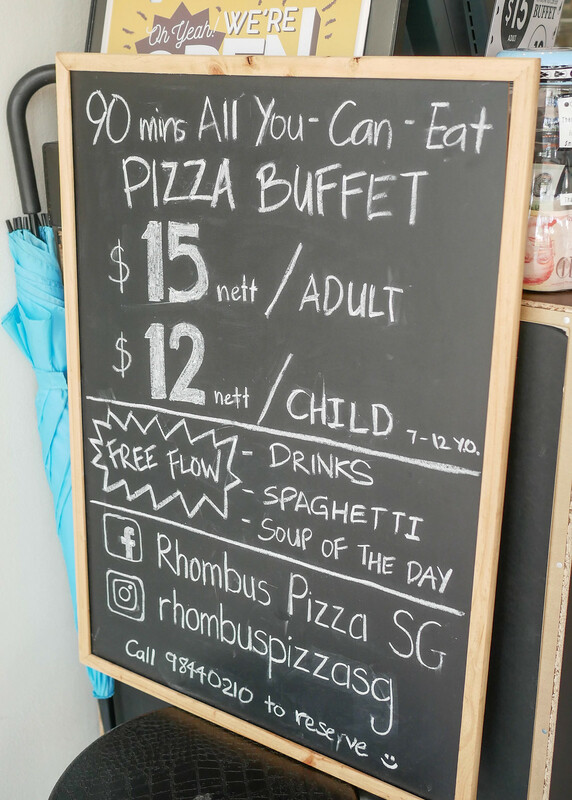 From now till 31st August, Rhombus Pizza is offering an introductory price of $15 nett for adults and $12 nett for children(aged 7 to 12). So how exactly does this work? 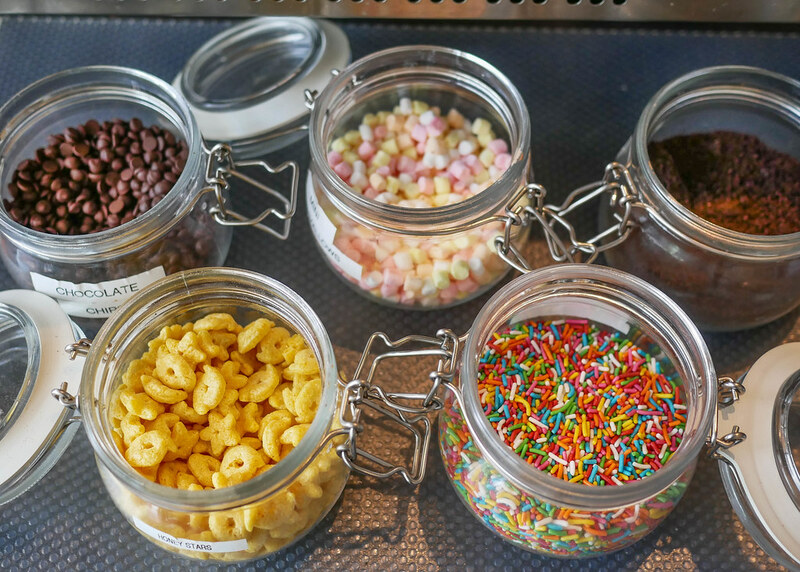 First, you pick your toppings from the counter. 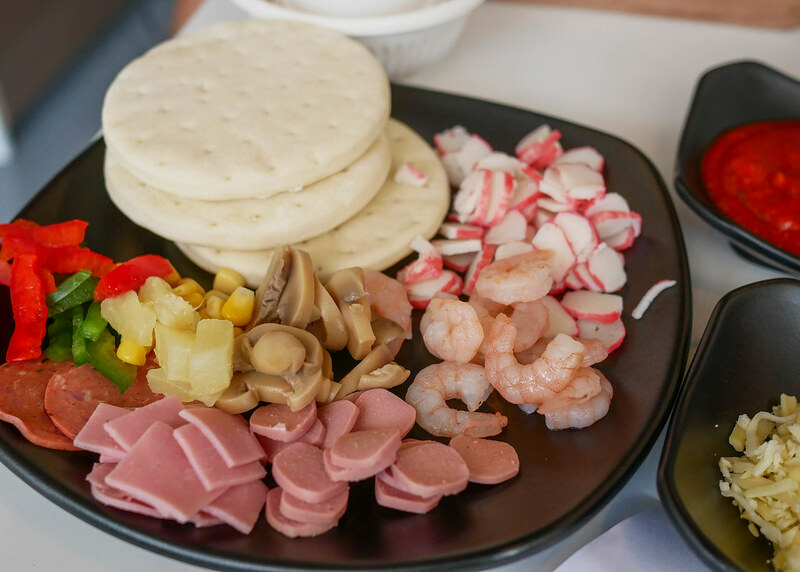 Toppings include crab sticks, small prawns, hotdog, salami slices, chicken ham, mushrooms, bell peppers, olives, corn and pineapples. Spread the tomato sauce evenly over the pizza base before sprinkling a liberal amount of mozzarella on top. Add your chosen toppings to the pizza before sliding it into the mini ‘oven’ on your table for 4-6 minutes, till the base is crisp and slightly browned at the edges. The mozzarella cheese should be oozy and melted by then! We came up with 3 different pizza combinations – feel free to try them out if you make a trip here! First, we had the classic ham and mushroom combination. We added a generous amount of cheese to make it extra savoury! Next, we had the seafood pizza where we added green bell peppers, small prawns and crab stick slices. Lastly, we crafted a meat pizza which had salami slices and chicken ham on it. Yum! While you’re waiting for your pizza to be ready, help yourself to free-flow chicken bolognese spaghetti and mushroom soup. Green tea and iced lemon tea are available as well. We got a bowl of piping hot chicken bolognese and mushroom soup to share. We liked that there was a generous amount of minced chicken and tomato cubes in the bolognese sauce. However, it could be thicker and have a more distinct tomato flavour. Each paying customer also gets 2 oven-baked chicken drumsticks. 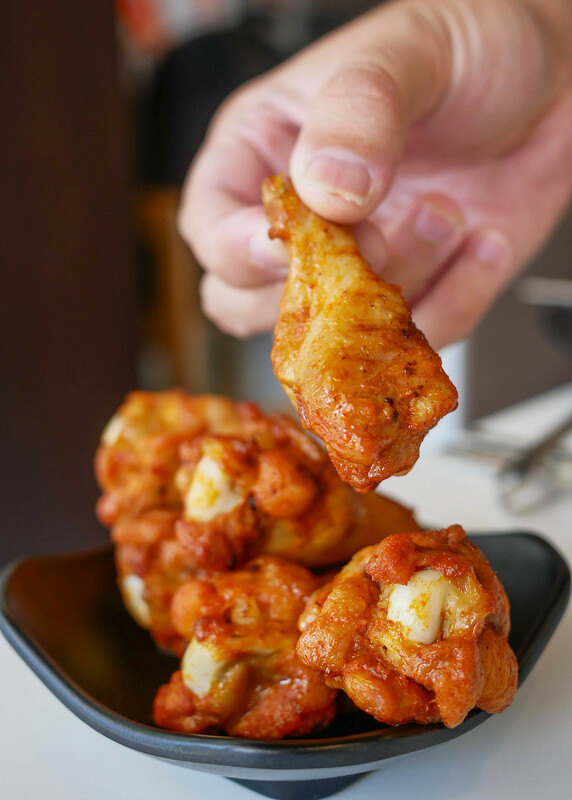 Flavoured with paprika seasoning, the drumsticks are rather flavourful and served warm (waiting time of 20 minutes). After you’ve just nearly filled your tummy with enough savoury pizza, its time to move on to the dessert pizzas! Nutella sauce is provided in a bottle for you to squeeze out. Have half of your pizza with nutella and the other half plain, or swirl it around in spirals, or zigzag the hazelnut sauce over your pizza base, or simply spread it all over. Pop the pizza base (with the nutella sauce) into the oven for 1 minute, just to warm up the sauce. 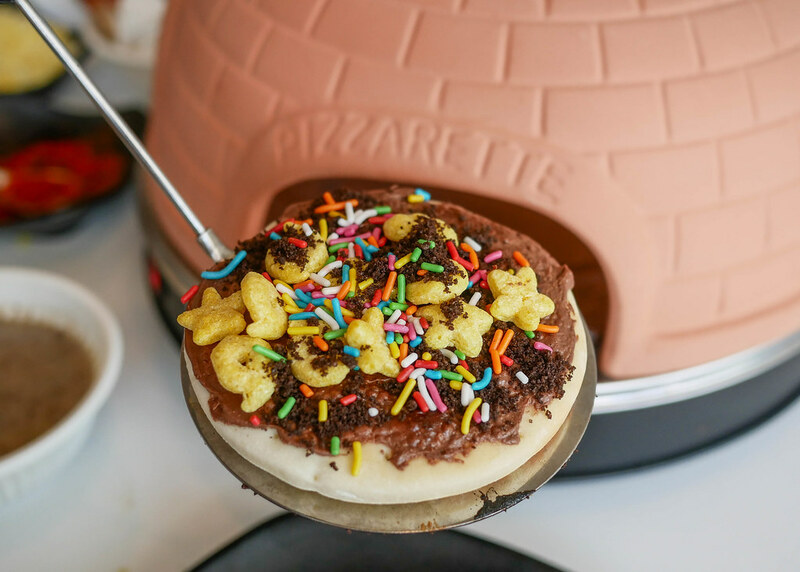 We topped our dessert pizza with honey stars, oreo crumble and rainbow sprinkles. Other sweet toppings on offer include mini marshmallows and chocolate chips. As expected, our pizza was overwhelmingly sweet. Perhaps we shouldn’t have put so much nutella, oops. Pro tip: heat up the dessert pizza again after adding the mini marshmallows or chocolate chips for a slightly oozy mess. Although the ingredients are simple, we would still recommend this place for those who will love the novel experience! It is still a fun place to hang out at if you want to experience making your own pizza. Note that each oven can only fit 4 small pizzas. They seem to have a bigger oven available, so let them know if you need it when making a reservation. Note that they only accept payment by cash. Address: #01-02, 116 Changi Road Singapore 419718. Junction of Changi Road and Everitt Road North. Opening Hours: 12pm to 10pm. Closed on Mondays. Reservations only! Let’s build a food community that helps to update the food news in Singapore! Simply comment below if there’s any changes or additional info to Rhombus Pizza. We will verify and update from our side. Thanks in advance! Can be found on the yoga mat, taking long walks, or stuffing her face silly with chocolate. Can't sing, roll in the deep or set fire to the rain.